View The Obituary For Richard L. Meade. Please join us in Loving, Sharing and Memorializing Richard L. Meade on this permanent online memorial presented by Brothers Mortuary & Crematory. Shirley Clark of Butte passed away peacefully on February 23, 2019 after a long illness. She was a dedicated wife and mother and will be missed greatly. There will be a private family service at a later date. Cecil Francis passed away on Tuesday, Feb. 26, 2019 at Aspen View facility. Survived by four children; Kevin Francis (Claudia), Sharlyn Hubbs (Jeff), Mark Francis, Scott Francis (Yolanda); sisters, Zelda Hover, Cleo A. Hover; eight grandchildren; two great-grandchildren. 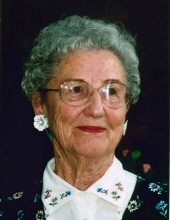 Melody (Sherman) Reighard passed away on Feb. 24, 2019 at Avantara Care Facility in Billings. Steven L. Sergeant, 64, of Waterloo, Iowa, died Monday, Feb. 25, 2019, at UnityPoint-Allen Hospital in Waterloo surrounded by his family. Warren N. Jesz, 66, of Minot, N.D., formerly of Turtle Lake, N.D., died on Feb. 22, 2019, at a Minot hospital. Funeral service for Paul E. Brannan, 81, of Sidney are at 10 a.m., on Wednesday, March 6, 2019, at the Ebenezer Congregational Church in Sidney with Pastor David Meehan officiating. It is with great sadness we announce that Bill Burns passed away February 16, 2019 at the age of 93. After months of failing health, he died peacefully at home. 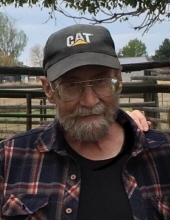 Larry Dean Tandeski, 70, passed away Thursday, Feb. 21, 2019 in Billings.